Let us introduce the Havapoo, also known as the Havadoodle or the Havanoodle. This adorable little ball of fluff is the result of cross-breeding a toy or miniature poodle with a havanese. A designer crossbreed gaining more and more popularity. This charming and friendly pooch is well-suited to most families and due to its small size and is more than happy dwelling in an apartment. Energetic and playful, lets see what we’ve ended up with now we’ve mixed the Poodle (National Dog of France) and the Havanese (National Lapdog of Cuba). 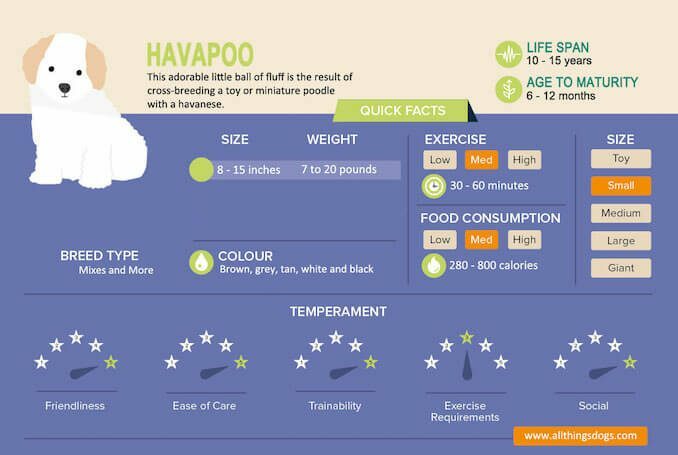 The Havapoo is the adorable ball of fluff we get when we cross-breed a Havanese and either a Toy or Miniature Poodle. As it’s a hybrid, it isn’t currently recognized by any major kennel clubs. 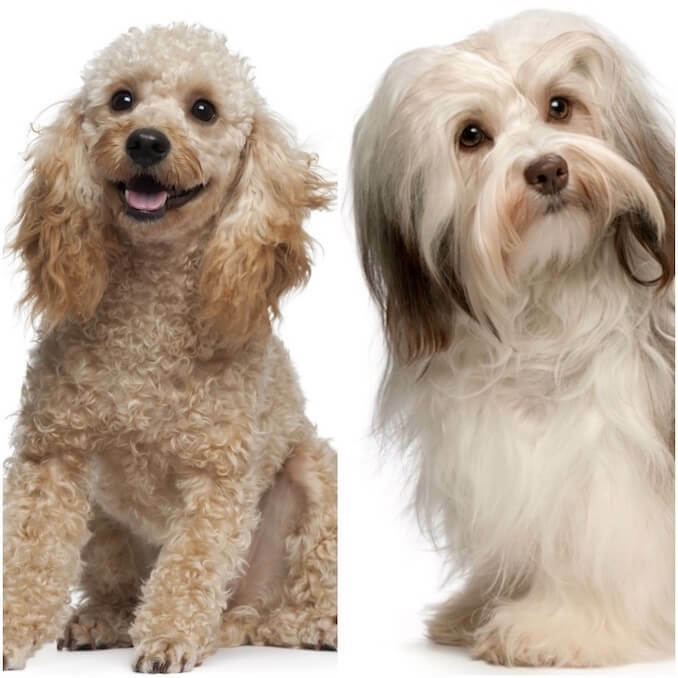 Despite interest in the Havapoo only peaking in the first half of 2018 these adorable hybrids have been registered as a breed by the International Designer Canine Association since 2009. 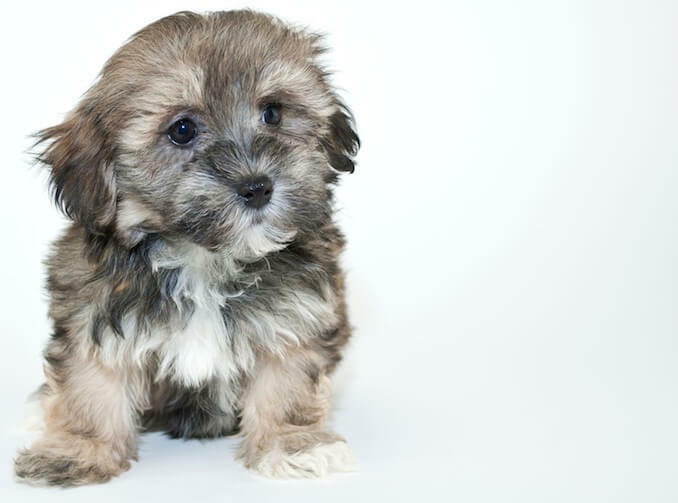 They are also registered with the American Canine Hybrid Club under the name “Poovanese”. Originating in the US, these guys were bred to be faithful friends to many a family. When looking for a Havapoo Puppy, ensure you are purchasing from a reputable breeder. Rescuing a dog is also an option – as their popularity increases, so will their numbers in shelters. Want something extra?! Get a Free Copy of Our Havadoodle eBook and learn more about this designer dog. Like other toy designer dogs this dog can live anywhere from 10 to 15 years of age. Depending on whether the poodle parent is a miniature or toy poodle, Havapoos range in height from 8-15 inches tall and can weigh anywhere between 7-20 pounds. You can pay anywhere between $800 to $1,800 per puppy. Price tags have sometimes exceeded the $4,500 mark too. These charming pooches are perfect lap dogs, not surprisingly so when the one purebred parent is the National Lapdog of Cuba. In order to understand this Havanese Miniature Poodle Mix in more detail, let’s have a look at the parents in a little more detail. An active, smart and energetic worker, the poodle loves being in a busy household. Highly trainable, these guys do not suffer fools. This smart, trainable and friendly companion spent it’s time in the laps of Cuban Aristocracy. Poodles excel in water fowl hunting and retrieving. If you have the chance, look at their paws, you will notice they have webbed feet! Perfect tools for swimming. Despite the fact they served no working purpose, these lapdogs were seen as a status symbol; a mere possession. Just like other toy breeds crossed with a toy or miniature poodle, not surprisingly, when you mix these two purebreds, you end up with a trainable, friendly and charming companion in the Havapoo. When socialized from a young age, these guys adore other people and pets. So pretty much full marks across the board for their temperament. 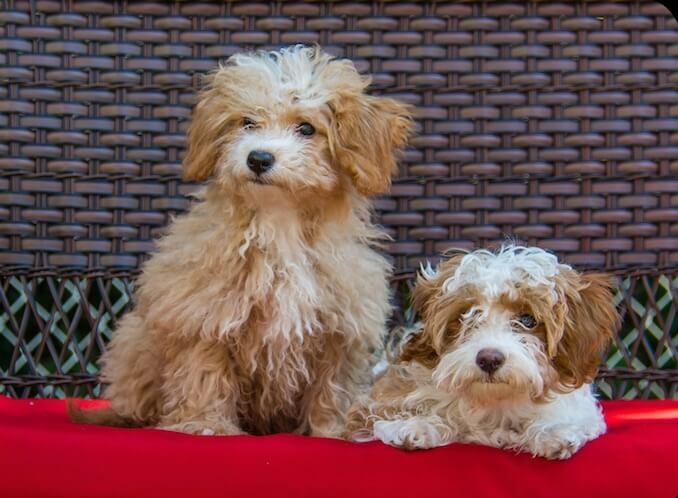 There isn’t much of a downside to these Havanese Miniature Poodle Hybrids. However, their friendly nature means they are also rubbish watch dogs! The Havapoo dog is not a renowned barker, as long as they have their daily exercise and stimulation and have a lap or sofa to curl up on, they are in their element. They suit most families – singles, couples, retirees, families with kids… Everyone! Their high intelligence means they thrive on brain games which are great for families to play with puppies. Due to their small size they are pretty well suited in most homes too. A house with a yard, great! An apartment or Condo; they can thrive there too! They are pretty high energy, not surprisingly when you look at their poodle parent’s working history, so expect to exercise for between 30 to 60 minutes per day. Make sure you get into a routine with this happy Havapoo and keep his time alone to a minimum. You can expect to be spending around one hour each day when you get your puppy to train, socialize, groom and bond during the first six months. Speaking of routines, let’s have a look at how to care for a Havadoodle. 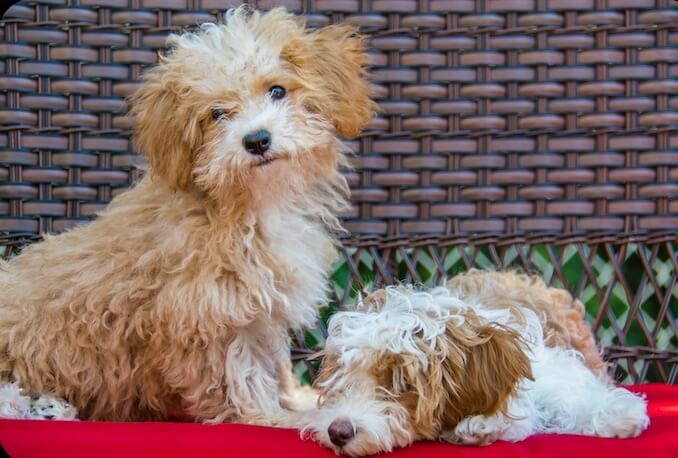 Early socialization for a Havapoo Puppy sets you up to succeed with this designer dog. Apart from their high exercise requirements, these dogs are pretty low maintenance when it comes to grooming. Their high intelligence makes them easy to train; they pick up potty training quickly and will learn a consistent routine within a few weeks. As we’ve mentioned, this designer dog is a small breed dog. It’s overall size will depend on the size of its parents – specifically the poodle parent and whether it is a toy or miniature. All dogs are fed based on their overall weight. When you have an Adult Havapoo (i.e. matured dog), you would expect him to consume around 40 calories per lb of body weight. So if your dog weighs in at 15lbs, he would consume around 600 calories per day, split between 2 or 3 meals. He will require 1.6g of fat per kg of body weight and 2.62g of protein per kg of body weight. Ensure you are feeding a high quality dog food which meets his daily nutritional requirements; for a small dog you can get specific small breed formula too. Relatively high energy, the Havapoo loves a good walk. Expect to walk upwards of 60 minutes per day. If trained successfully, their recall is usually pretty good so off leash walking in dog parks usually causes few problems. Just remember their sociable nature – they may get a little too friendly, wanting to meet everyone, humans and animals alike. Not everyone is as friendly as they are. Weigh their temperament up, you may find you need to keep them close just to keep them out of people’s hair. Working with one toy at a time, when ever she is playing with it or showing an interest, label it (ball, rope, chew etc). When you are sure she associates the label with the toy, start creating small toy lineups of 2/3/4 toys. Ask for one toy specifically. Whenever she succeeds, praise her, or maybe a give her a small tasty snack! Repeat the exercise until you can build up to 8-10 toys in a lineup. Whilst being high energy, they do remember their lap dog heritage. If they’ve had their exercise and played a few games, they love nothing more than chilling on the sofa. Their obedient Havanese heritage and intelligent poodle parent means that Havapoos are a dream to train! Start young and you will have them eating out of the palm of your hand. They thrive with positive reinforcement and reward based training. We know that dogs learn through operant conditioning – if a behavior causes a positive outcome, they are more likely to repeat it. So if she’s doing what you want her to do, reward her… praise her, treat her or give her a toy to play with. If you’ve trained toy names you even even reward her by asking her to fetch her favourite toy. Introduce her to what the world has to offer, in a safe and controlled way. Introduce her to people, animals, equipment, everything! Your Havadoodle needs to learn that she experienced it and survived; without any sustained problems. We know that early socialization in puppys is associated with more resilience and less problematic behaviors as they grow. Havapoos are generally quite outgoing and inquisitive, so she will likely be dragging you around the block to explore the next thing. Ask the breeder what socialization programme they have in place and continue from there! Despite the hope to breed healthier dogs, we know that like pure-bred dogs, hybrids can also suffer with health issues. Hybrids can develop their own health issues or inherit conditions from either parent. In this case, we know that one parent, the Havanese, can suffer with cataracts, deafness, hip dysplasia, liver shunt and patella luxation. In addition the Poodle parent can suffer with Cushing’s Disease, diabetes, eye and skin problems and many joint issues. Cataracts – common in Poodles, this is an eye condition where the lens gets progressively cloudier resulting in loss of vision and eventually blindness. Surgery can often treat cataracts, but, this can be expensive. Hypothyroidism – common in the Havanese this is where the thyroid is not producing enough hormones reducing metabolic rate. It can often be treated with medication. Patella Luxation – common in small breed dogs this is when the kneecap doesn’t sit in the trochlear groove. It results in lameness and abnormal gait. Surgery is often an option. Hip dysplasia – this is when there is abnormal development in the hip joint. This results in lameness, abnormal gait, pain and stiffness. Surgery is often an option, or more mild cases can be managed through medication. The Havanese is a long, silky coated dog. The Poodle is a tight curly coated breed. So what do we end up with? Well, as with all designer and hybrid dogs, it varies, dramatically. Some Havadoodles have long and wavy coats, taking on more of a Havenese coats. Some have thick, curly coats like their poodle parents. Generally high on the grooming requirements, daily brushing is a must for these guys unless you keep their coat clipped short. If you do, 2-3 brushes a week will keep their coat in tip top condition. Havapoos can come in a range of colors, most commonly brown, grey, tan, white or black. Again this depends largely on their parent colorings. They can be solid in color, or have a mix of markings. Pay attention to their parents, but as with all hybrids, it’s always a bit of a gamble knowing how your puppy will look! Regularly check their ears and eyes and take some time to brush their teeth. Raw carrots are a brilliant treat to keep a fully grown dog’s teeth sparkling. If you’re looking for a charming, friendly and energetic family dog; the Havapoo should certainly be towards the top of your list. Thanking its Poodle parent for its intelligence and Havanese heritage for its obedience, your Havadoodle will be a dream to train; they will pick up potty training in no time. A consistent routine with early socialization will ensure you have the sociable pooch you always wanted. Relatively high energy, they love their walks. Through the park or in the woods – they’re easily pleased. Just make sure there’s enough room on the sofa at the end of the day for them to curl up next to you or on you! 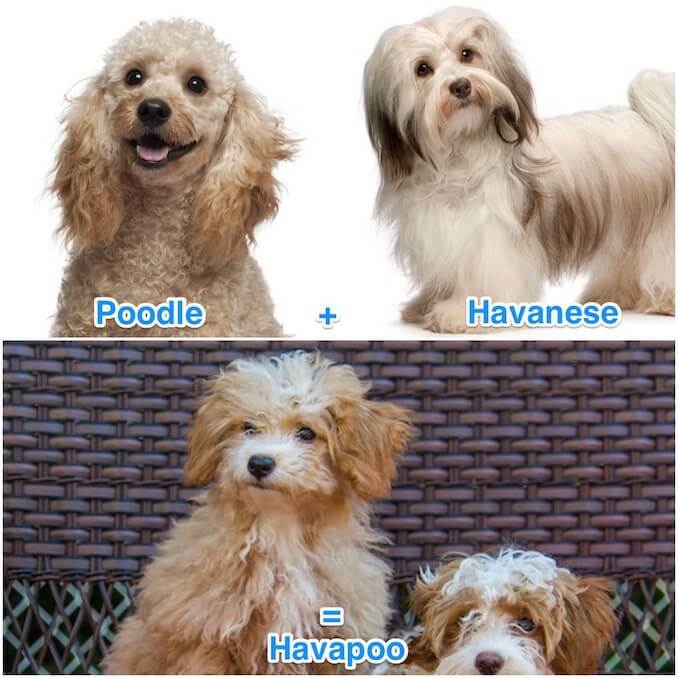 Do you have a Havapoo in your family? Let us know in the comment field below. 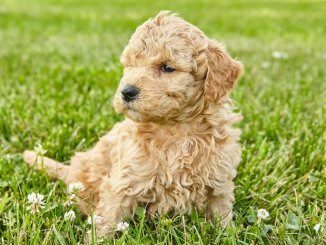 What’s the best way to find a reputable Havapoo breeder? We live in Houston, TX. This seems like a “breed” ripe for abuse in regards to puppy mill type breeders. Our other dog is a well bred GSD but my wife prefers a personal lap dog. The GSD previously got along well wit her 8 pound Schnoodle who recently died at age 17. You are right, with mixed/designer breeds comes an increased chance of puppy mill type breeders due to lack of paperwork. If purchasing a mixed breed, I would go for a F1 with two purebred parents (with documentation). You can also start by reading our article on tips for finding a reputable breeder. Gary, I recently purchased a havapoo from an amazing lady in Savannah, Georgia. Her site is gapkennels and she has been a breeder for many years and is not a puppy mill. I highly recommend her. Hi Adriane, we are currently putting together a list of reputable breeders, we will be in touch with you once the list is complete. In the meantime, I have shared your comment so our readers can also share their breeder recommendations with you. I am also looking for a reputable breeder of Havapoos. I have come across Farms or Mills or just Havanese Breeders who are not happy when I ask for a Havapoo. Are there any reputable Havapoo breeders in the Seattle area? I am greatly interested in the breed and I do not know where to find a good breeder. Hi Leah, I’ve shared your comment with the community. Hopefully someone can provide you with a breeder they know is reputable. I’m interested in buying a Havapoo. I live in Morayshire Scotland, but willing to travel… any reputable breeders please do get in touch with me. My little Havapoo sweetie Lola (well, she IS half Cuban!) is almost 2 years old now and we couldn’t love her more. She adores every pup, cat and human she meets.